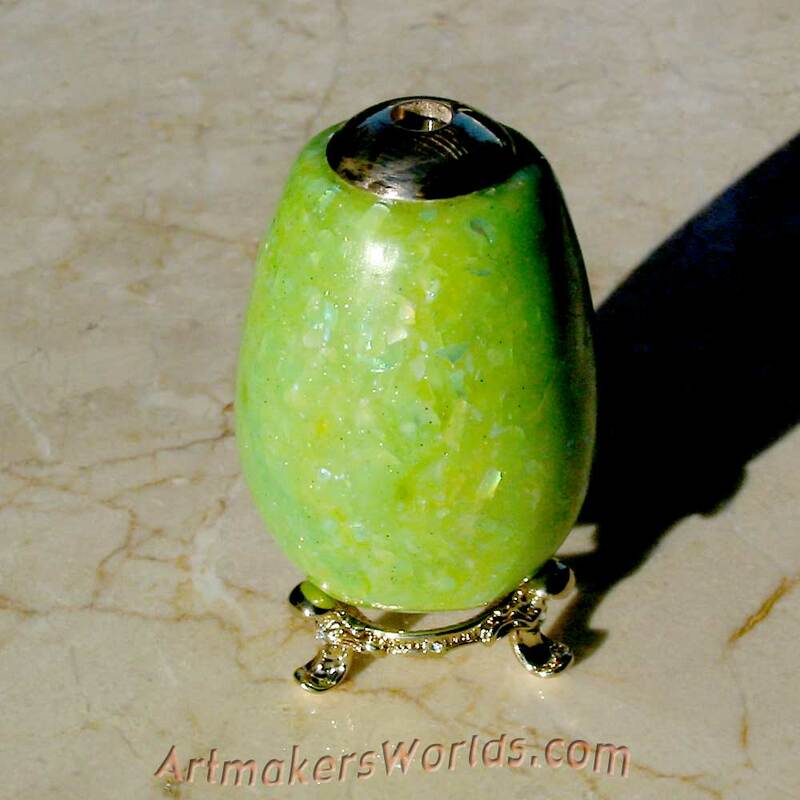 Green Opal polymer clay egg kaleidoscope. 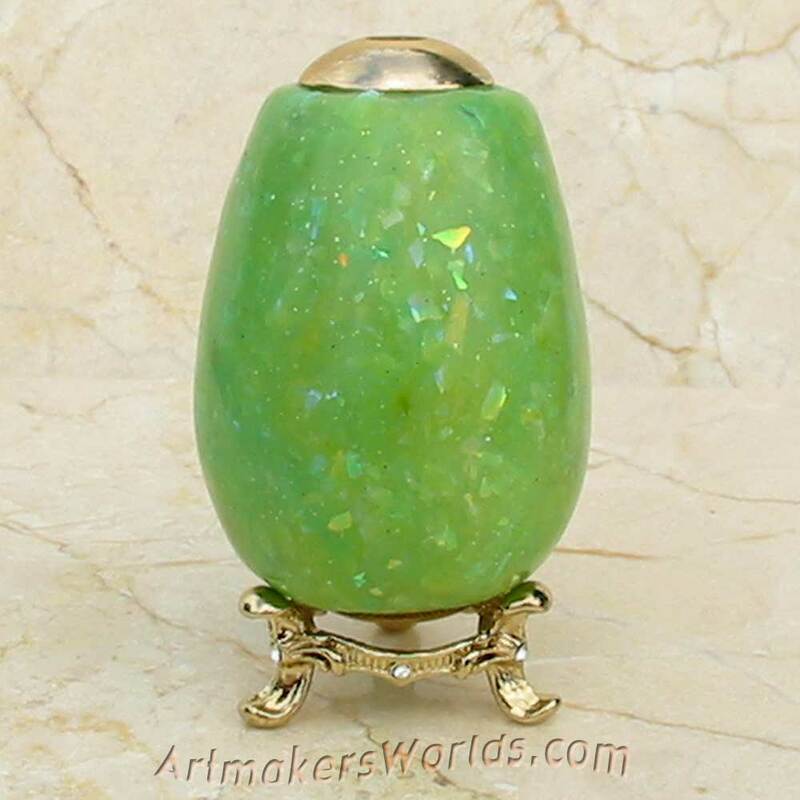 Faux Green Opal egg kaleidoscope with stand. Another egg scope here. This time I've finally managed to perfect a faux opal look. Quite the process involving mostly translucent clays, some blended with alcohol based dyes which I find come out clearer than the pre made colored translucent clays. Next, a good mix of bakeable flake glitter is added to my stained clay and worked in well. And I DO mean well. The idea is to get some of that glitter close enough to the surface to be visible, and yet nothing can be sticking out. Not a good look there. It has to be worked so that each individual piece is covered with clay. One thing about these egg scopes? They start out as a simple brass tube. 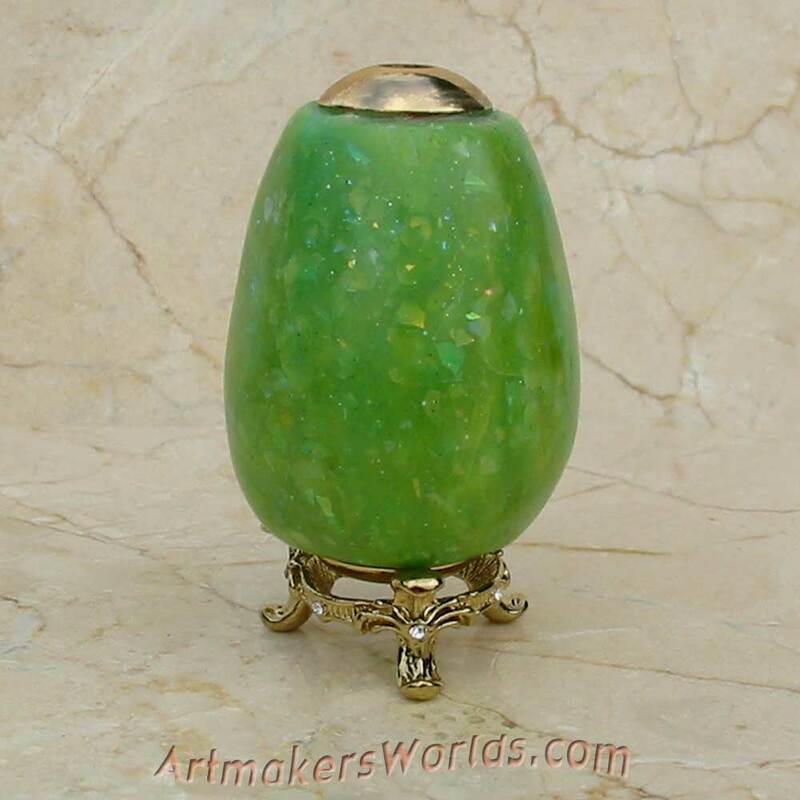 Most clay artists buy pre formed wood egg shaped pieces and simply apply clay to that. But not me. I build up layers of clay baking along the way to be sure it's fully cured, until I get close to that egg shape. Only the final layer is decorative. Then it's sanded, and sanded some more. Hand buffed to a glassy shine and it's ready to go. The end result is a much heavier piece than if it were simply a piece of decorated wood. This has some substance to it. Also... 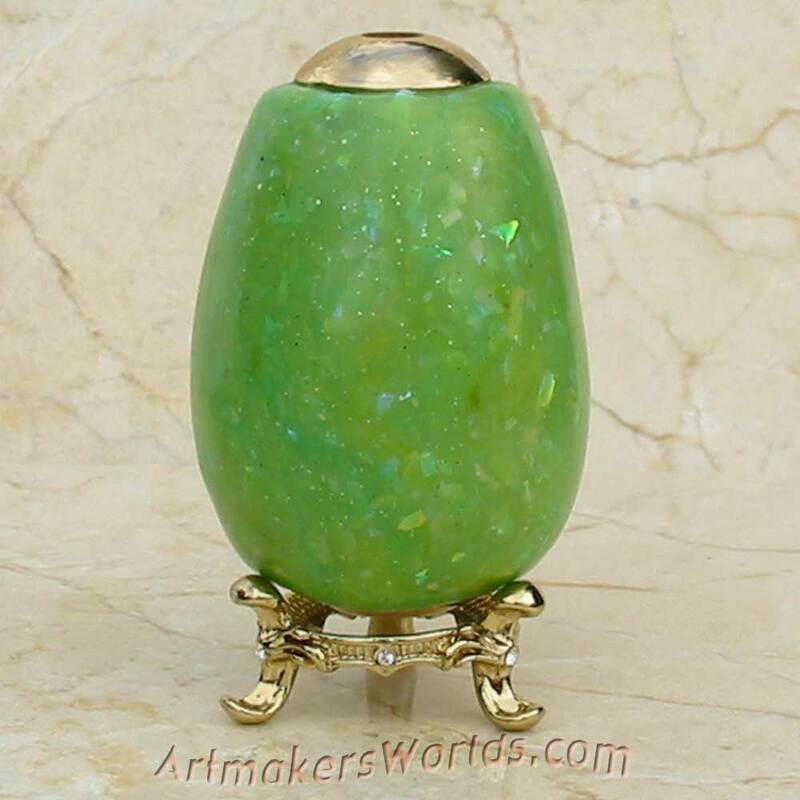 I pick out gems for the chamber that matches my piece. I wish I could get a descent picture of the chamber but with these really small scopes nothing I've tried works. So sorry, a description will have to do. Think green. WIth just a touch of pale blue and pink, but hardly any. Mostly greens are in the chamber. And keep in mind, the chamber for these small scopes is about the size of four dimes stacked up. Not really a lot of space to play. And yet I managed to mix a good blend of teeny chips to make this as interesting to look through as it is to look at.